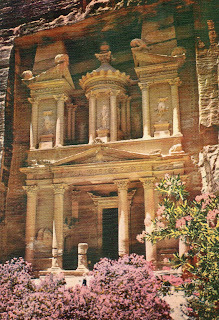 Al-Khazneh ("The Treasury"), is one of the most elaborate temples in the ancient Arab Nabatean Kingdom city of Petra. 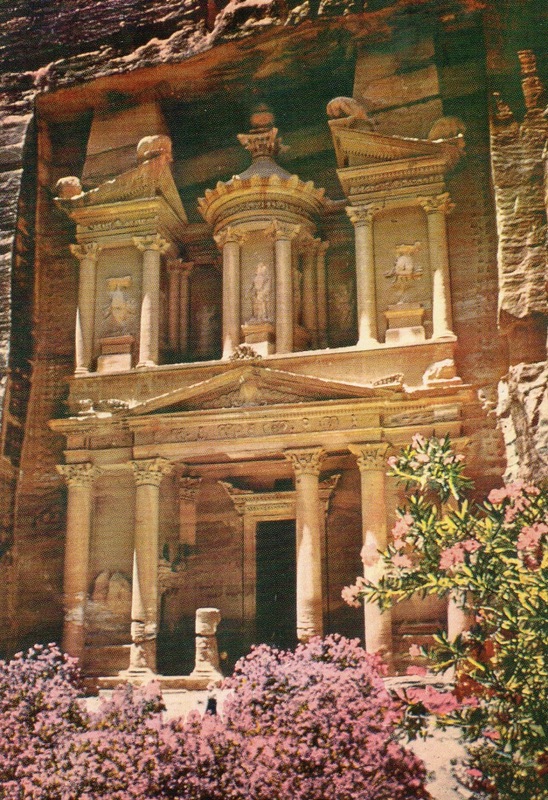 As with most of the other buildings in this ancient town, including the Monastery (Arabic: Ad Deir), this structure was carved out of a sandstone rock face. Al-Khazneh was originally built as a mausoleum and crypt at the beginning of the 1st century AD during the reign of Aretas IV Philopatris. Its Arabic name Treasury derives from one legend that bandits or pirates hid their loot in a stone urn high on the second level.